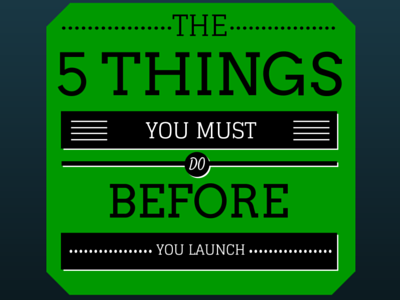 ComixLaunch | 021 – Should you offer early bird rewards to your Kickstarter backers? 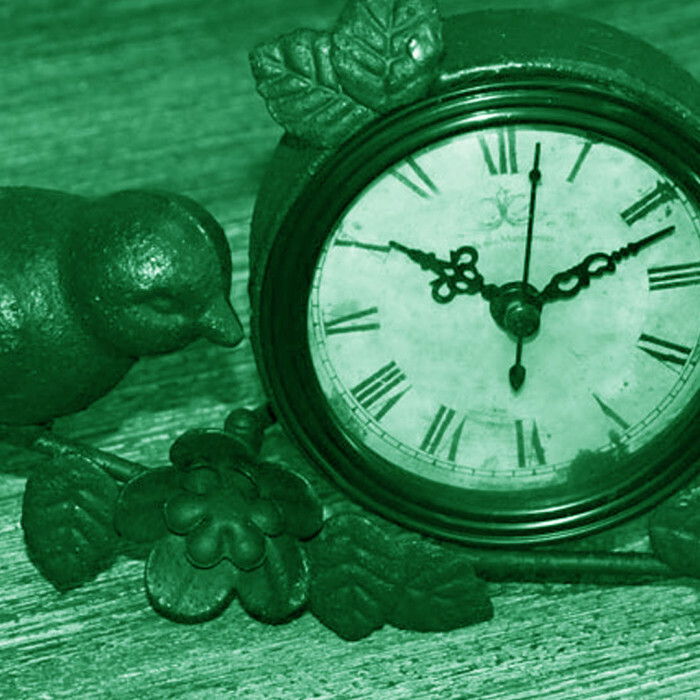 021 – Should you offer early bird rewards to your Kickstarter backers? “Early Bird” discount reward levels or “Day One Backer” bonuses can be an effective strategy to get your Kickstarter campaign off to a explosive start… but there is a downside. In this session, Tyler discusses the pros and cons of early bird rewards. Last week was a mindset episode, so this week, we’re talking strategies and tactics — one reward strategy specifically and that is offering special rewards or incentive for early backers or day one backers. Before we get into it… I do want to update you on The ComixLaunch Course. The ComixLaunch Course is special pilot program where Jeremy Melloul and I will be taking a small group of creators step-by-step through the process of designing and executing a successful Kickstarter campaing to crowdfund their next Comic and Graphic novel project. Creators who have been in the industry for 20 years or more, to creators working on their very first book. 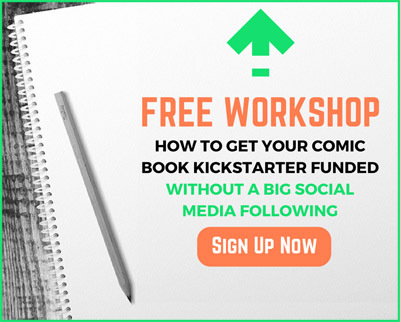 The course is designed based around a framework of guiding principles that apply to all comic kickstarter projects and action items that every creator should take, regardless of the campaign they’re building. But the framework will be fleshed out with details specific to each campaign, and every creator will be coached to create their own KS Masterplan. There will be a private FB group for getting feedback on the elements specific to each KS, and there will also be live Q&A “office hours” with the coaches to handle individual issues… I’m excited about it. Today, we’re going to discuss whether or not you should offer early bird rewards. 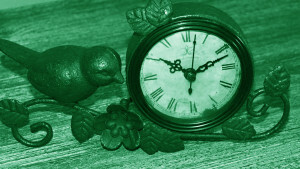 Early Bird rewards are essentially early incentives offered to encourage backers to support your campaign as soon as it launches. The purpose of early-bird pledge levels is to give potential backers an incentive to back your pledge right away, usually in the first few days of the Kickstarter project. 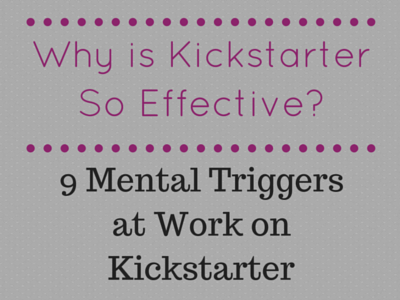 I think most Kickstarters know that getting their campaign off to a fast start is important. After all, crowdfunding is stressful, even more so on an all-or-nothing funding platform. So, the sooner you hit your target to guarantee your funds, the better. Clearly, coming out of the gate with a lot of activity day one is a good way to distinguish your project as a winner. Hypothesis: In a crowdfunding campaign, early backers are more valuable than later ones. Therefore, they should be acknowledged, and rewarded. So, if an early or a Day One Backer is more valuable to a campaign manager than one who signs on later in the campaign. Not only does their financial backing help your project get out the gate fast, but the earlier they join in on your campaign, the more they’ll be privy to your messaging throughout, and the greater their ability to help evangelize your project. So, how do you actually do it on KS? What does an early bird reward look like? 1 – KS tracks when every backer enters your campaign (date and time) and #s your backers for you, in order of backing. Makes it easy to see who backed on what days of the campaign. Everyone who backs first day, first three days, first 200 backers, etc. Can send individual messages to each backer, or when campaign is over, pull emails of all backers in order of back, and send digital or physical bonuses to them alone. 2 – You can set this in the reward level. Example, let’s say you want to incentive early backer to back your hardcover GN. You could set the standard price of the GN at $30, but could set up a limited EARLY BACKER reward tier at $20, and limit it to say, 50 backers. So, once those early backer spots have been snagged… the $20 pledge is closed, and only $30 spots remain. Likewise, if you wanted to do a time based reward, you could set up a pledge, and then once the time was over, you could change the pledge to a limited pledge, and then cap it at # of backers currently pledge for it. This basically let’s no one else take that reward… unless one of your early backers drops out, opening up a spot. For my 2nd KS campaign for EPIC, I employed an incentive for DAY ONE BACKERS. Again, knowing the importance of getting out of the gate strong, I wanted to do something to encourage DO Backers. Also included a bonus digital comic for all DOBs… didn’t cost me much in time or money to send, added value vs. lowering price. Went fine… a little bit stressful worried I would miss a DOB stamp… Fulfill by level, not by date backed…did add another thing to check. I did hit 150% funding on Day One, so to that extent, it did its job. However, I haven’t done DOB or EB rewards on my subsequent campaigns… and to discuss why, I want to talk about some of the cons of EB rewards. Tracking EB or Day One Backers is another thing you need to manage , and potentially makes fulfillment a bit more complicated, depending on how you’re rewarding things. Outsourcing fulfillment — Amazon… no option for DOB stamp. Early Bird Rewards create winners and losers. Great for people who get the deal… But make people who come to your page later feel like they missed out. If you had no opportunity to get the best price, you’re initial gut reaction is going to be negative. That may turn off more backers over the 30 day campaign, than you turn on in the early bird window. EBR Creates a Discentive for Backers to Upgrade their pledge later on in the campaign. Good reward strategy may include rolling out new, higher level pledges throughout the campaign. However, if a backer locked in an EBR pledge level, say, for a discount, and then sees a higher level pledge reward he/she might be interested… has to way desire for that higher pledge, vs. losing his special EBR tier. Backer psychology… should always be win win win… shouldn’t lose anything. Causes confusion or complexity… do you want to create more reward levels for EBR backers, etc. They do provide a way to incentivize and reward your biggest fans. First-time KS, without a large audience, might incentize fence sitters to take action now, vs later. They do work… is it worth the cost. 1. Other limited reward levels: Give backers a chance to be a part of your product. Early bird reward levels don’t increase engagement, involvement, or loyalty, but other limited reward levels do. If you price them correctly, they’re more compelling than early-bird levels (see here for more info). 2. Great product on a great project page: Let’s be clear, early bird pricing is a gimmick… and if you’re relying on gimmicks to move the needle at this point, you might be in trouble. Create a great product and display it on a great project page. Get people excited from Day One, and many will back. 3. Offer a fair price: Offer a fair price for your product and you eliminate the need for hijacking backers at an early bird price. 4. Friends and family: For a first-time project creator, friends and family can be an incredible asset over the first few days. Spend the first 2 days of your project writing individual emails to everyone you know. 5. MY Take – Reward early backers WITHOUT advertising it. Stamp – Day One Backer! My take: I agree with Jamie Stegmeiyer… Jamie is in the games space, which shares a lot of similarities with comics. Small niche market, but rabid, die-hard fans. Most backers on KS aren’t looking for a big discount, rather they’re looking to be a part of something special. While offering early backer rewards for an expensive tech product or something that needs to raise hundreds of thousands might make sense… I don’t think the pros outweigh the many cons in the comics space. Focus on making a great product, designing a beautiful KS page, running a outstanding campaign, and then fulfilling like a boss… leave the gimmicks to people who are unable or unwilling to do those things, and you’ll stand out from the crowd. Brainstorm a list of three limited pledge reward ideas…other than time sensitivity. Shoot me an email to [email protected] subject ComixLauncher 021. Where do you stand? Pros and Cons of early action rewards… what do you think? On balance, are they worth it? Have you tried them in your campaigns? Will you employ them in your next ones? Right or wrong… what works and what doesn’t… only way to do know is to try for yourself or learn from people who’ve done it.